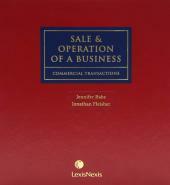 Offers practical commentary along with forms and precedents for all the issues encountered by a busy lawyer advising an employer or an employee. Each Canadian Forms & Precedents publication offers a complete collection of forms and state-of-the-art precedents drafted by some of Canada's leading lawyers enhanced by practical commentary on their use in practice. It meets the demands of busy practitioners by providing them with the drafting know-how they need to prepare documents and agreements used in everyday transactions. Canadian Forms & Precedents – Commercial Transactions – Employment offers you practical commentary along with forms and precedents for all the issues encountered by a busy lawyer advising an employer or an employee. Employment provides you with an extensive set of forms and precedents along with instructions on their use and customization for the needs of your clients. 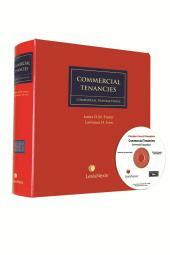 Also available as part of the Commercial Transactions 2nd Edition multi-volume set. 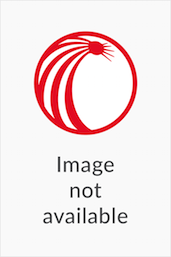 Jeff Dutton is a leading employment lawyer in Toronto at Dutton Employment Law. He represents both individual employees and management in all matters. He has significant experience advising on employment standards, employment contracts, occupational health and safety, wrongful dismissals, workplace investigations and human rights. Catherine Milne is a partner in the firm of Zubas + Milne. Possessing an expertise in the most current Canadian business practices, processes and standards in Human Resource Management, Ms. Milne represents employers and employees in a full range of employment law matters and human resource issues. Additionally, she is active on the boards of several not-for-profit organizations where she provides advice on issues relating to recruitment, human resource strategy and governance. A regular speaker and contributor to local workshops and seminars in the field of employment law and HR, she is also a regular contributor to Employment News and Career News and has been interviewed in several publications, including the Globe and Mail.